When talking about FX-Format DSLRs, the Nikon D850 has a special place thanks to some immense features it has. 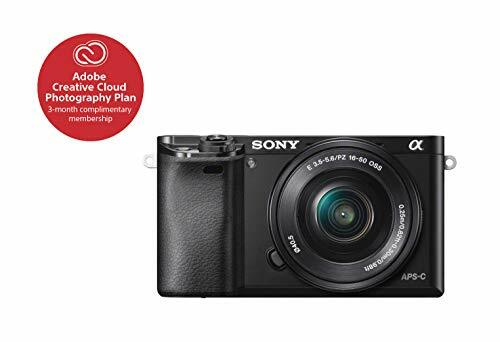 It has a Nikon-designed back-side illuminated (BSI) full-frame image sensor with no optical low-pass filter and a sensor of 45.7 megapixels which is capable of producing extraordinary results with outstanding dynamic range. It can burst shoot at the rate of 9 frames per second and can record videos at 4K UHD definition. Nikon 105mm f/2.8G IF-ED VR Micro: This lens uses a signature Silent Wave motor and Vibration reduction technology to ensure sharp images even when shooting in low light conditions. The lens can be used to capture images at slow shutter speeds and also offers a working distance ranging from life-size to infinity. It offers a 1:1 magnification. The lens can be used for portraiture along with macro photography. Tamron SP 90mm f/2.8 Di VC USD Macro: With a 1:1 life-size magnification, this lens features a Floating system that ensures high-quality images across the entire focusing range. The lens delivers razor-sharp images while focusing swiftly and silently. The images have no chromatic aberrations or distortions. Sigma 150mm f/2.8 EX DG OS HSM APO Macro: This lens features Sigma’s signature Optical Stabilizer and offers a 1:1 magnification and a working distance of 15”. This lightweight lens also features a Hypersonic motor that allows precise, quick and silent autofocusing and along with the OS delivers distortion fewer images. The Super Multi-Layer coating minimizes the flare. Nikon 28-300mm f/3.5-5.6G ED VR: Compatible with FX-format DSLRs this lens offers 10.7x zoom lens. This lens features ED Glass and VR II IS. The lens has the ability to reduce the chromatic aberrations and deliver razor sharp images with great levels of color and contrast. The autofocus is smooth, swift and precise. It can be best used to capture landscapes, portraits, and subjects at a distance. Nikon 24-70mm f/2.8E ED VR: This lens features Vibration reduction and Stabilization technology. It delivers razor-sharp images of high quality. It is both portable and durable. Its speed makes it one of the best choices for travel photography. It can be used inside the studio and also out in the open. It can also be used to record HD videos. Nikon 35mm f/1.4G: This lens offers a focal length of 35mm and an angle of view comparable to the view of the human eye. Offers an ultra-fast aperture of f/1.4 and helps you capture mesmerizing images even in dim light conditions. The images are sharp and have a shallow depth of focus making this lens best suited for landscapes, the night sky and also photojournalism. Sigma 35mm f/1.4 DG HSM Art: This lens is a gold award winning lens at the DPreview. It features a swift and silent autofocusing and a heavy built. It is available for a reasonable price. However, this lens has no weather-sealing. Sigma 50mm f/1.4 DG HSM Art: This lens is best suited for portraiture, landscape and street photography. Along with these this lens can also be used for shooting inside a studio. The lens has a large 1.4 aperture that ensures ultra sharp and good quality images. Nikon 50mm f/1.4: This lens is reasonably priced and features an optical formula with a swift f/1.4 max aperture. It can be best used for travel and general photography. Sigma 85mm f/1.4 DG HSM Art: This lens is a gold award winning lens at DPreview and can be used for a variety of scenes including portraiture, landscape, night sky, journalism, event, and wedding photography. One distinctive feature of this lens is that it can be used in low light conditions. It delivers images with great bokeh effect. It offers a very precise and accurate focusing ability. Nikon 85mm f/1.4 G: This lens uses a swift f/1.4 aperture and ensures sharp images with great levels of brightness. To minimize the flare this lens uses a Nano Crystal Coating which helps in delivering distortion fewer images. It can be used to shoot in low light conditions because of the nine-blade diaphragm. The lens can be used for portraiture and general photography. Tamron SP 85mm f/1.8 Di VC USD: This lens features a vibration control technology to provide excellent image stabilization. The lens has a fast aperture of F/1.8 which makes it ideal for use in dim light conditions. The lens delivers high-quality images at 85mm focal length. The images have a beautiful bokeh and blur that makes the subject prominent as compared to the surroundings. Nikon PC-E Micro-NIKKOR 85mm f/2.8D Tilt-Shift: As the name suggests, this lens has the ability to tilt (+-8.5Degrees) and shift (15mm) which helps in achieving many different angles of views. The lens also has the ability to rotate 90 degrees which allows you to shoot a variety of scenes including Portraiture, Nature and commercial photography. Nikon 85mm f/1.8G: This lens delivers ultra sharp images with mesmerizing bokeh effects. It is reasonably priced. Nikon 24-70mm f/2.8E ED VR: This lens can be used for photography as well as for recording HD videos. The lens is fast and reliable. It delivers ultra sharp images of high quality. It features Vibration reduction technology to deliver distortion fewer images. It can be used for environmental and event photography. Tamron SP 24-70mm f/2.8 DI VC USD: This 24-70mm lens features Tamron’s signature curved diaphragm. The lens is constructed so as to resist moisture and other environmental factors. The lens has the ability to correct the chromatic aberrations and delivers high-quality images with high resolution and excellent blur effects. It can be best used for portraiture, Landscapes and even when shooting inside the studio. 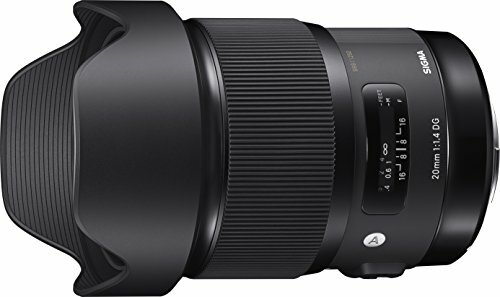 Sigma 24-70mm f/2.8 DG OS HSM Art: This lens offers a very wide range of focal length and therefore, it can be used to capture images at wide angles. This lens features the swift autofocus technology helps deliver quality images. A thick center glass is used in the aspherical element that ensures aberration-free images with great bokeh effects. It can be used for portraiture as well. Nikon 24-70mm f/2.8 ED: This lens is compatible with FX-format DSLRs and is well known for the zoom range it offers. It can be used to capture images in low light conditions because of its f/2.8 maximum aperture. The aperture uses a nine-blade diaphragm to produce a shallow field depth. This lens is highly recommended for professionals and also for everyday photography. Sigma 20mm f/1.4 DG HSM Art: This lens can be best used for landscape and astrophotography. Apart from photography, it can also be used to record high-quality videos. It delivers images with unmatchable levels of brightness and beautiful bokeh effects. The Chromatic and spherical aberrations are minimized by the splendid optimization of lens powers and also the optics technology this lens uses. It can also be used for snapshots. 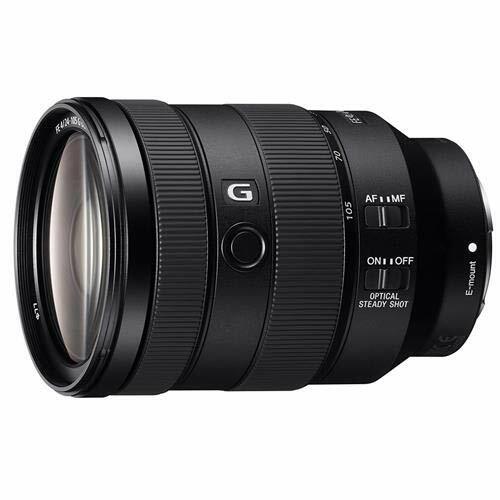 Sigma 14mm f/1.8 DG HSM Ar: This lens is known for the 80mm glass mold it uses to produce images with great resolution. The lens allows shooting at wide angles while delivering distortion fewer images that also flare free. It can be best used for documentaries, architecture, and landscape photography. Rokinon SP 14mm f/2.4: This lens is known for its speed and unmatchable focusing abilities. It features Rokinon’s special performance design that helps to deliver images of quality as good as 50 megapixels. This lens can be used for videography (8K) as well. It is known to deliver exceptional results even when shooting in dim light because of its F2.4 aperture. Nikon 20mm f/1.8G ED: This lens is compatible with the FX and DX-format DSLRs. It offers a 20mm focal length with a very wide angle of view. This lens has a f/1.8 maximum aperture that allows shooting in dim light conditions. It can be used for videography as well. It can be best used when wide-angle shooting is required as in landscape and architectural photography. It is small in size and also lightweight which makes it easier to carry. Nikon 24mm f/1.4G ED: This lens is compatible with both FX and DX-format DSLRs and offers a photo angle of 84 degrees. It delivers great results in dim light situations because of its max aperture of f/1.4. The images this lens delivers are sharp and have amazing levels of color and contrast. Moreover, the lens minimizes aberrations to ensure high-quality images with a clear demarcation between the subject and the surroundings. Nikon 14-24mm f/2.8G ED: This lens has a max aperture of f/2.8 and an Internal Focus for swift and accurate autofocusing. To ensure aberration-free images the lens uses 2 extra dispersion and 3 aspherical lenses along with a super integrated and a Nano Crystal coating to minimize the flare for better results. This lens delivers razor-sharp images of high quality and contrast at all aperture settings. This wide-angle lens is highly recommended for professional photographers. Nikon 16-35mm f/4G ED VR: This lens offers a constant f/4 max aperture and a focal length range of 16-35mm. The lens features a vibration reduction technology that ensures sharp distortion fewer images even when the camera is handheld. Best suited for travel, wedding and journalism, this lens has a great autofocusing ability and delivers images with beautiful bokeh effects. It can be used in dim light conditions. 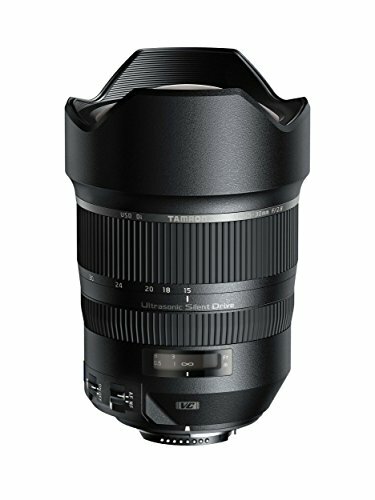 Tamron SP 15-30mm f/2.8 Di VC USD: It is one of the best wide-angle lenses which can be used to shoot a variety of scenes while achieving great levels of picture quality. It offers a maximum aperture of f/2.8 which makes it suitable for shooting in dim light conditions and allows you to focus selectively. Nikon 8-15mm f/3.5-4.5E ED Fisheye: This lens offers an angle as wide as a fisheye view (180 degrees). The zooming capability together with the fisheye makes it one of its kind. Using this lens you can capture sharp and high-quality images even when standing close to the subject. It allows you to shoot in various challenging situations. It can also be used for recording videos along with photography. Nikon 200mm f/2G ED VRII: This lens is known for its speed and the ability to create beautiful bokeh. The lens can be used in dim light conditions. Because of its super fast aperture, this lens can be used to capture scenes involving rapid motion like sports or wildlife photography. Apart from that, it can also be used for fashion photography. Nikon 400mm f/2.8E FL ED VR: This lens features a Vibration reduction technology which along with the super swift f/2.8 max aperture gives this lens the ability to capture high-quality images in dim light conditions. It uses a special diaphragm to ensure better results while capturing moving objects. Because of its speed, this lens can deliver great results even when the camera is handheld. Best suited for sports and wildlife photography, this lens also has the ability to produce great bokeh effects. Nikon 300mm f/2.8G ED VR II: This lens has a solid build and features very swift and accurate autofocusing abilities. The lens is reliable and can be used to capture scenes with quick and rapid movements like wildlife or sports. The lens delivers high-quality images even when shooting in extreme and challenging conditions. Nikon 70-200mm f/2.8E FL ED VR: This lens features swift autofocus and delivers images with unmatchable image quality and sharpness levels. The lens also offers a color correction that helps deliver better results. It is best suited for concerts, weddings, and portraiture. Nikon 70-200mm F/2.8G ED VR II: Ideally suited for both professionals and semi-professional photographers, this lens can be used for various kinds of photography including portraiture, journalism and sports. This telephoto lens offers zoom and has a swift maximum aperture, making the lens fit for use in dim light conditions. It delivers sharp and high-quality images. Tamron SP 70-200mm f/2.8 Di VC USD G2: This lens is unmatchable as far as the optical performance is concerned. It features a Vibration Compensation technology that ensures distortion fewer images. This lens can be used with the teleconverters as well that increases the focal length it offers. It is a fast lens with swift autofocusing abilities. To allow the photographer to shoot close to a subject, the minimum object distance is decreased. It can ideally be used for landscape, portraiture and wedding photography. Nikon AF-P 70-300mm f/4.5-5.6E ED VR: This updated version of a tele zoom lens is ideal for action, sports and wedding photography and also videography. The lens features a vibration reduction technology that ensures distortion fewer images even when the camera is held in the hand while shooting. The lens is fast and durable and is reasonably priced. Nikon 80-400mm f/4.5-5.6G ED VR: This lens offers a wide range of focal length. It features a Vibration Reduction technology that ensures distortion-free images even when shooting handheld. This lens is best suited for portraiture and wildlife both since it has the ability to capture both short and long distance objects. It can also be used for videography. Nikon 200-500mm f/5.6E ED VR: This lens is compatible with both DX and FX format DSLRs. It offers zoom and delivers ultra sharp images across its entire zoom range. The lens is both light and compact which makes it portable. It is best suited for sports and wildlife. Sigma 150-600mm f/5-6.3 DG OS HSM Sports. : This lens features an optical stabilizer that allows a photographer to take panorama shots both horizontally and vertically. The lens has 3 SLD glass elements and 2 FLD glass elements that ensure clear, sharp and high-quality images across the zoom range. The lens is constructed so as to prevent damage by dust or moisture, making it durable. It can be used for wildlife and sports photography. Tamron SP 150-600mm f/5-6.3 Di VC USD G2: This lens features a teleconverter, Euori1e Coal and Flex zoom lock. The lens has a swift autofocus that helps when capturing moving objects. The vibration control enhancement allows the photographer to shoot with the camera in his hand and yet get clear and sharp images with great quality. Sigma 120-300mm f/2.8 DG OS HSM: The lens is durable since it is made so as to prevent damage from dust and moisture. It can be used for outdoor photography and for shooting under challenging situations. It features an HSM (Hyper Sonic Motor) for swift autofocusing that enables a photographer to capture moving objects like sports action or wildlife. It can also be used for videography. Nikon 200-400mm f/4G ED VR II: Best suited for wildlife and sports action, this lens delivers high-quality images with great levels of sharpness, color, and contrast. The chromatic aberrations are also effectively corrected. The lens features a vibration reduction technology that allows you to shoot at lower shutter speeds even with the camera in your hand. It has a fixed maximum aperture across the zoom range.